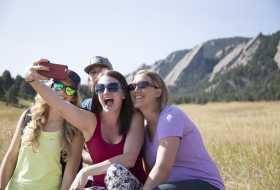 While there&apos;s little doubt you&apos;ll be spending time frolicking outdoors in Boulder&apos;s remarkable natural beauty, be sure to save some energy for perusing some of the area&apos;s lesser known — but just as stimulating — cultural assets inside Boulder museums. 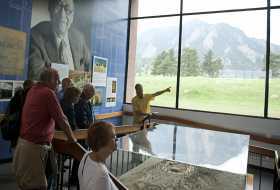 The Museum of Boulder at The Tebo Center is a great place to start. A fully interactive exploration of Boulder&apos;s past, present and future, this new space includes world-class traveling exhibits, the region&apos;s Native American history, a children&apos;s discovery zone and a rooftop deck. 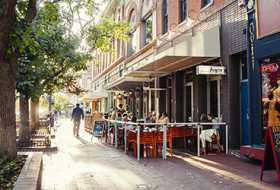 Visit the Boulder Museum of Contemporary Art (BMoCA) for an always-provocative selection of contemporary works. 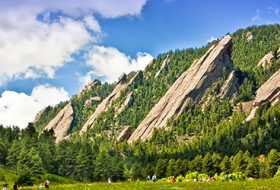 And don&apos;t miss a trio of museums on the University of Colorado campus, home to the University of Colorado Heritage Center in the school&apos;s historic Old Main building, the CU Art Museum and University of Colorado Natural History Museum — all of which are intimate gems worth a peek. Further northeast of town, the Shelby American Collection Museum celebrates the cult-favorite race car with displays that consistently surprise visitors.